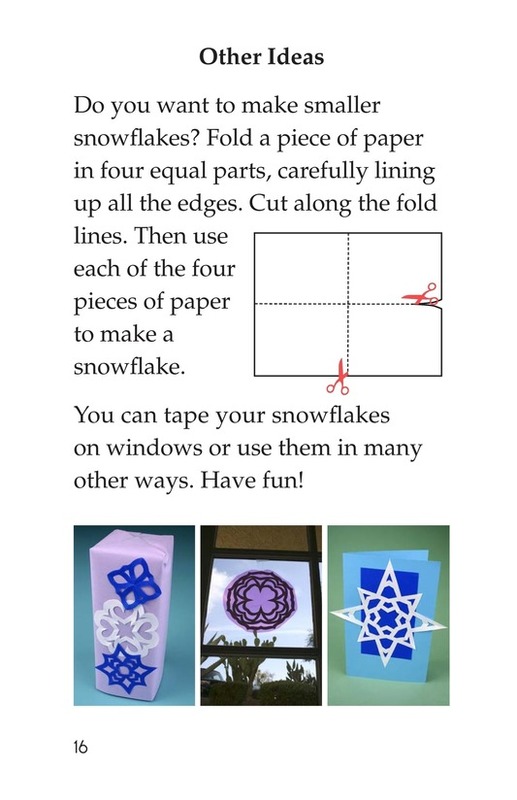 > Books > Leveled Books > Level N > Let's Make Snowflakes! 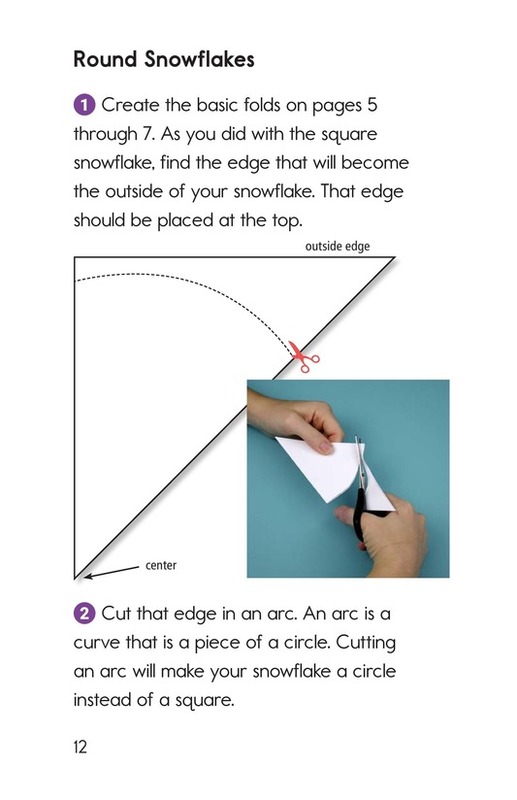 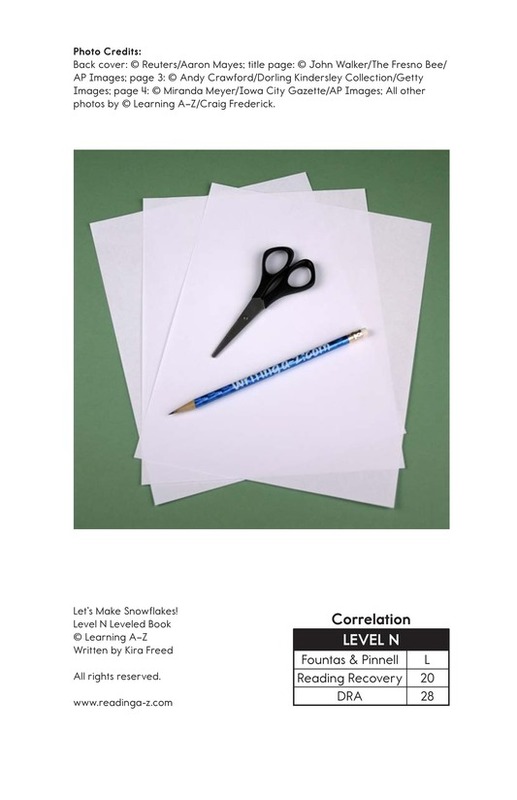 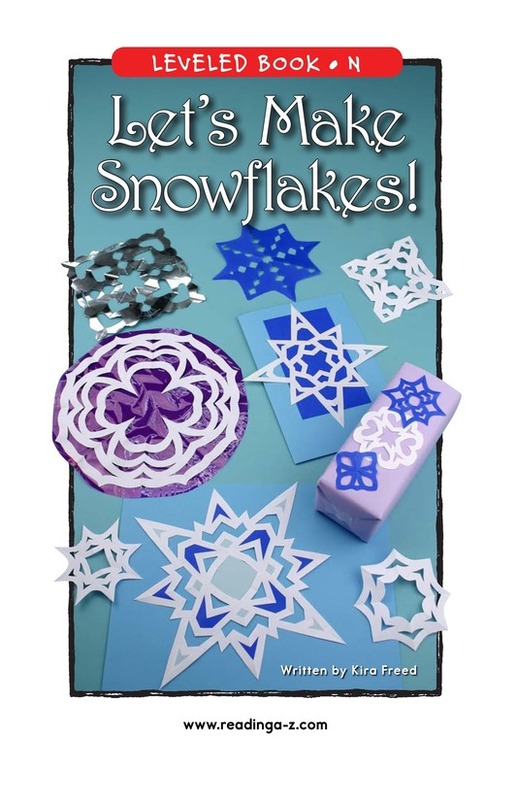 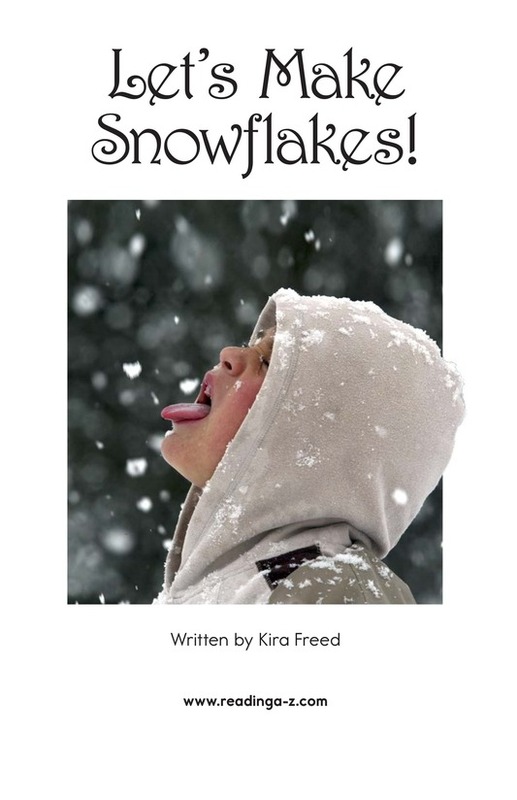 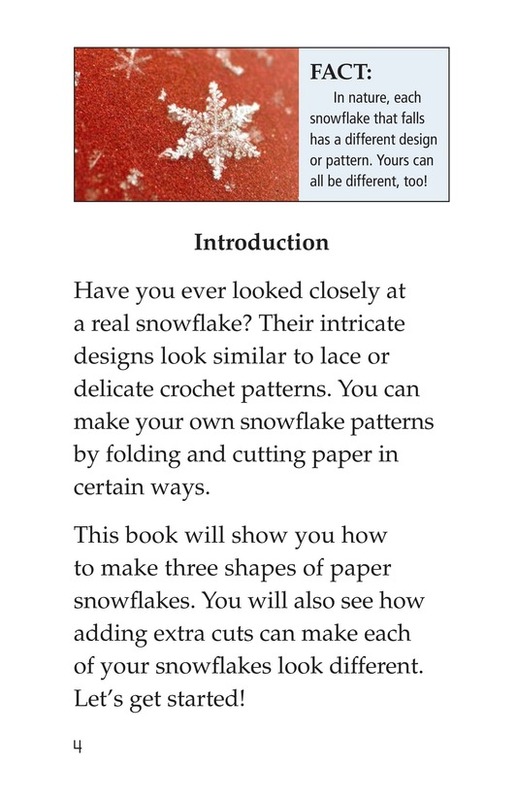 Even if you don't live in a place where it snows, you can have snowflakes by making your own, and this book will tell you how! 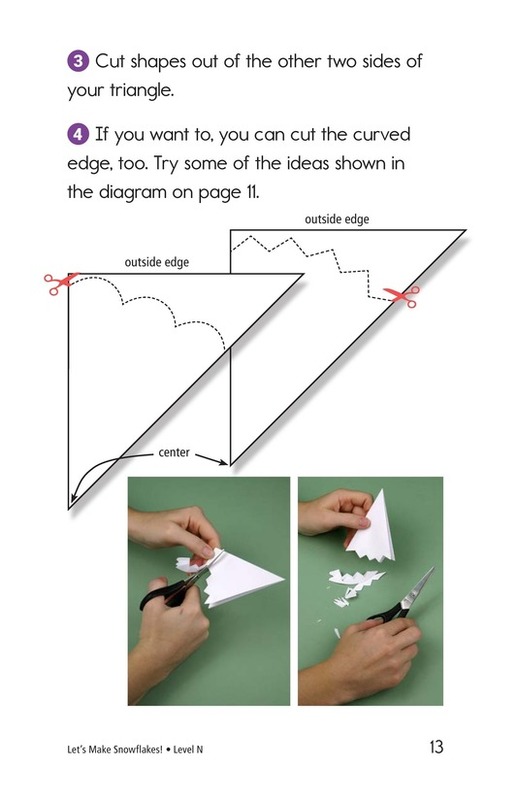 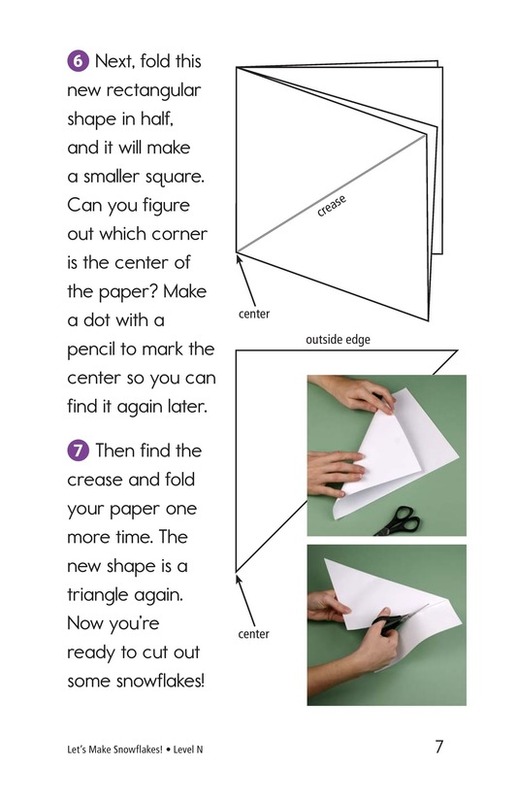 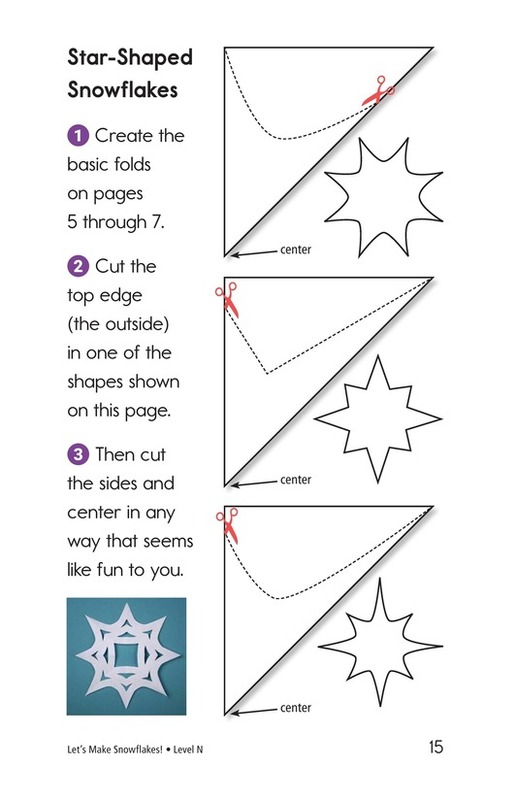 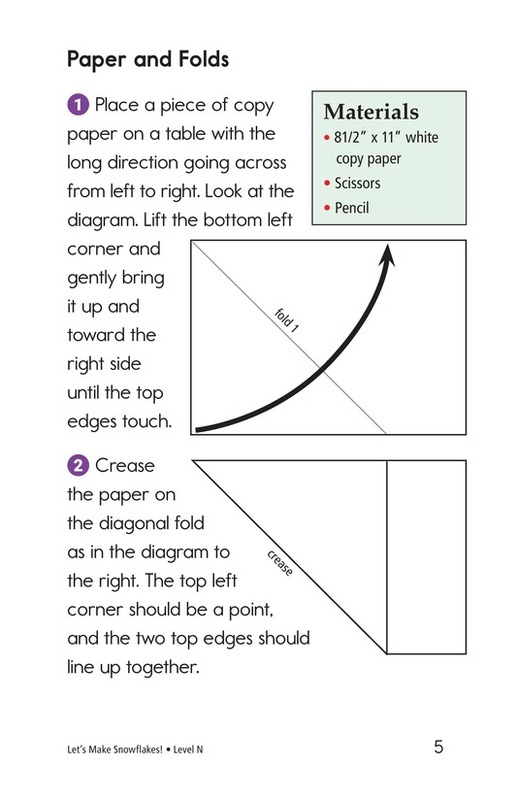 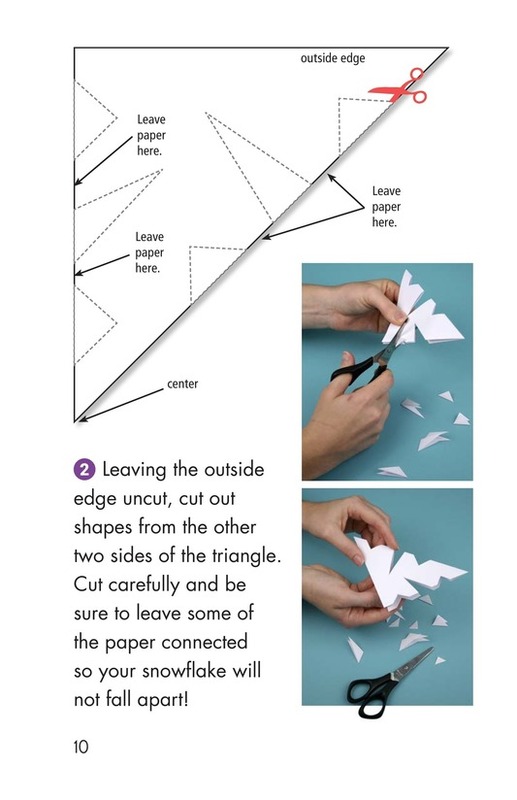 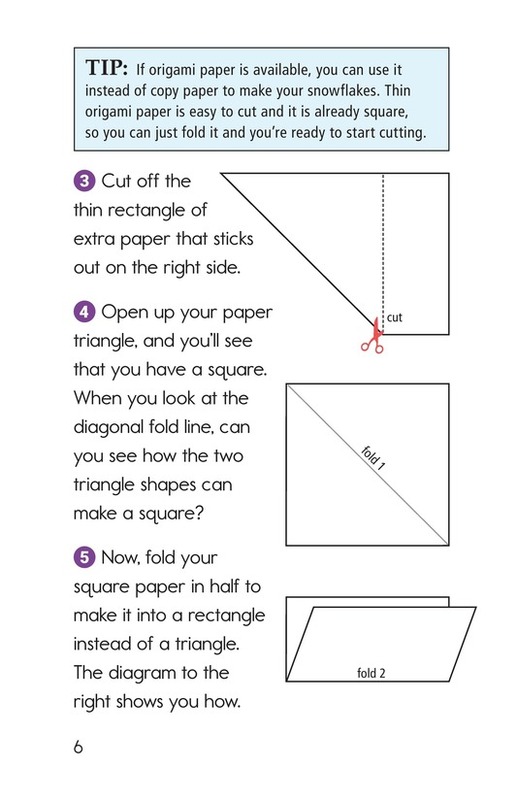 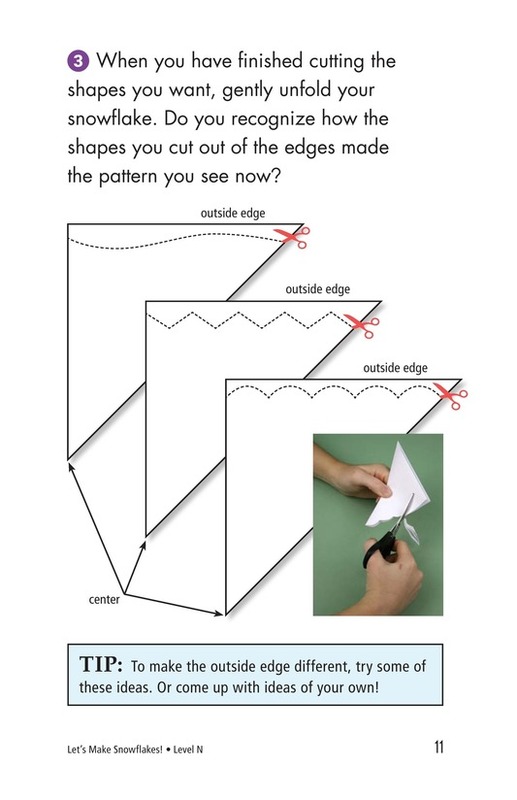 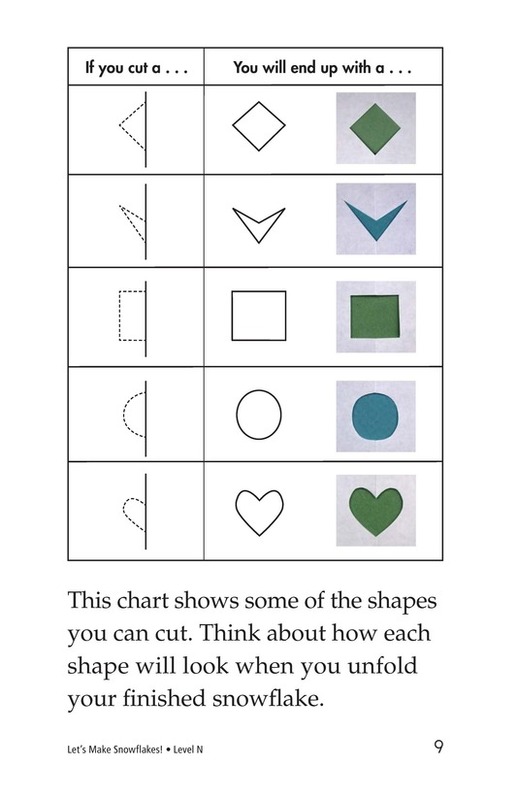 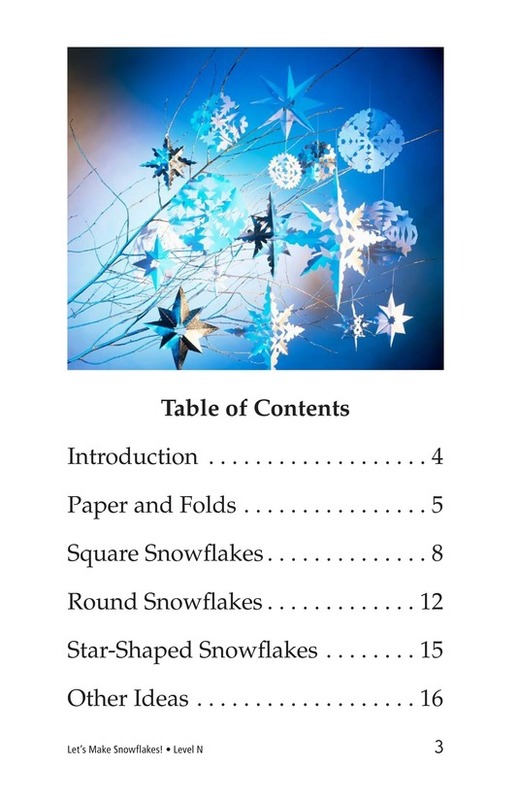 The author explains how to fold paper to make square, round, and star-shaped snowflakes. 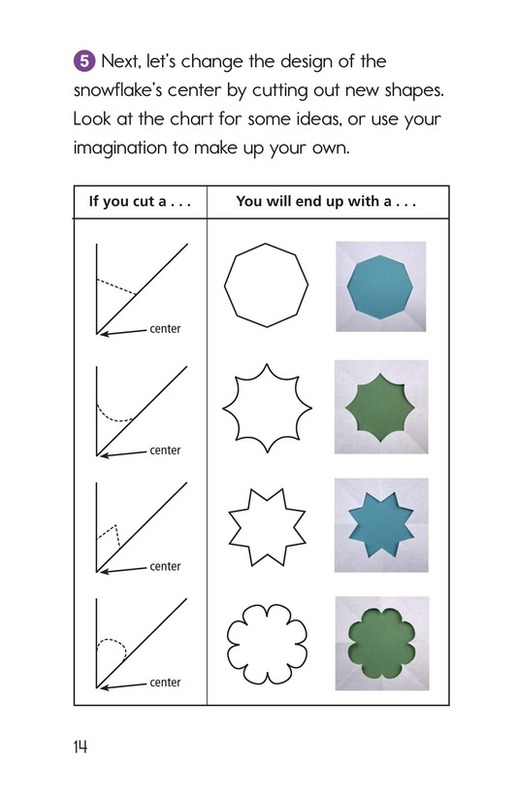 But it's up to you to make them unique and creative. 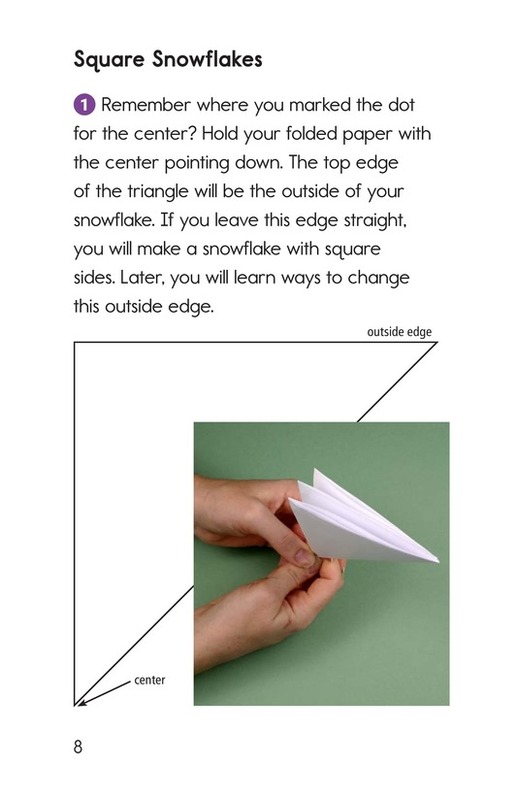 Photos and diagrams make the directions easy to follow.